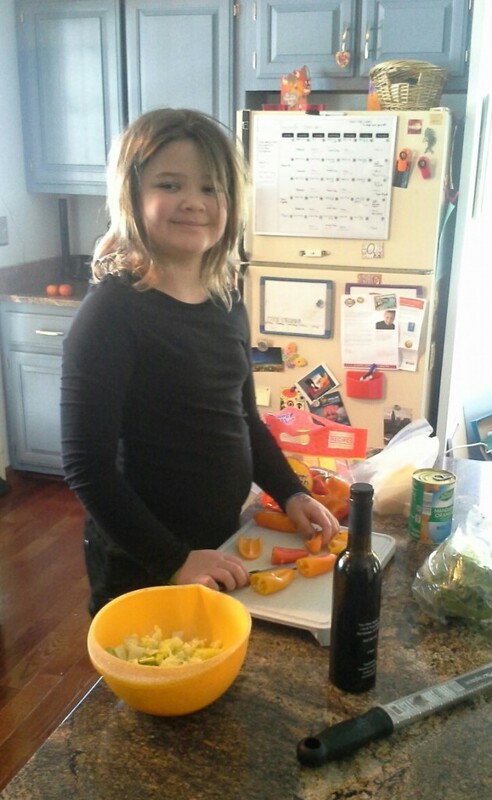 It is our pleasure to introduce you to 8-year old Diva Foodies Kid Chef Janey. Although Janey is only in the third grade, she definitely knows her way around the kitchen. She loves to create her own recipes and has kindly shared one of her favorites with us! Thanks Janey … it looks delicious! Kid Chef Janey: I think it was a salad that I made. I made the dressing but I don’t remember what was in it. 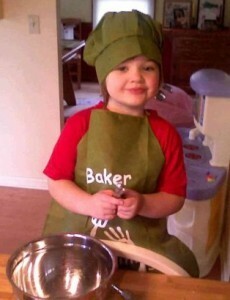 Kid Chef Janey: I started cooking with Dad when I was 4. 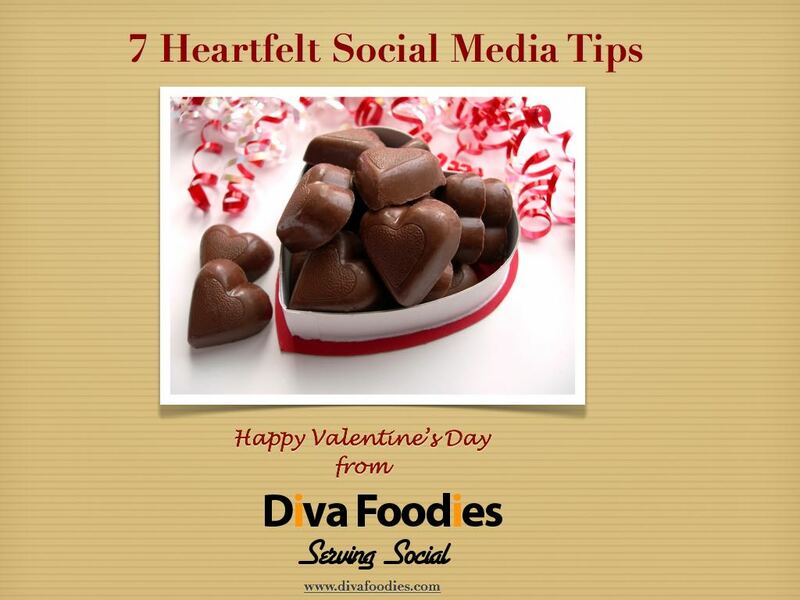 Diva Foodies: We heard that you know a lot about how flavors work together (awesome!) and often make up your own recipes. What was the most fun recipe you ever created? Kid Chef Janey: I think the Taco Salad that my brother liked. 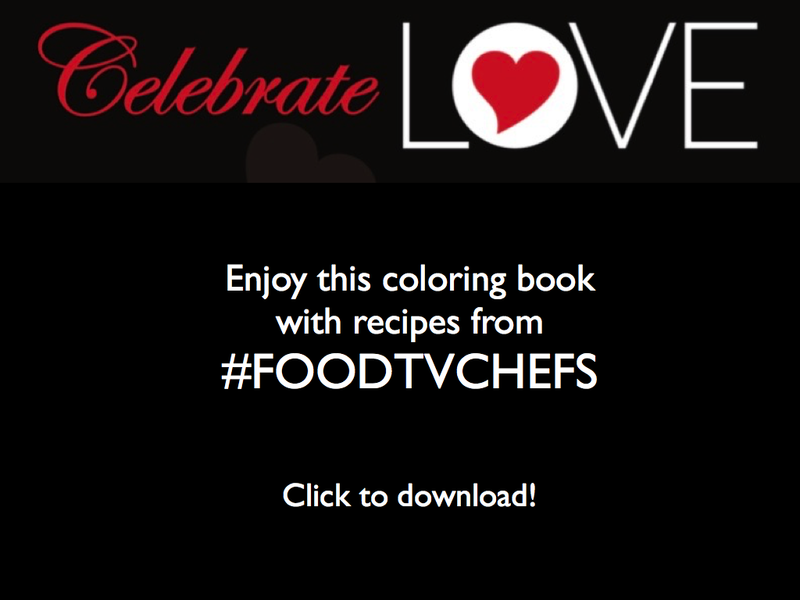 Diva Foodies: Any chance you might share your special Taco Salad recipe? Taco Salad Recipe Created By Diva Foodies Kid Chef Janey! It had crushed tortilla chips, salsa, shredded mozzarella cheese. It had cooked ground beef with cumin and salt and pepper. Corn and black beans. I layered it and then stuck whole tortilla chips in the top for garnish. Kid Chef Janey cooking with her little brother. 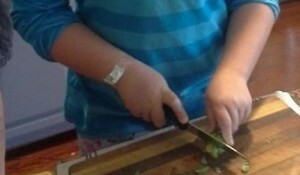 Kid Chef Janey: My new paring knife. Because my Grammaleah got it for me and it cuts everything. Kid Chef Janey: Pioneer Woman. She doesn’t use expensive ingredients that no one has. Her recipes are easy. 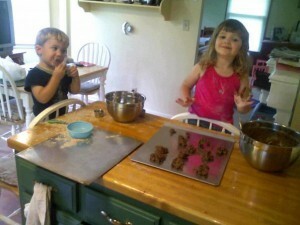 Diva Foodies: Mom Jennifer how/when did you realize Janey loved to cook/bake? When she was 4, I was making banana bread and she told me I had left out the salt. I had. She is fast making me the third-best cook in the house, which I am absolutely going to take advantage of once she is allowed more unsupervised reign of the kitchen. 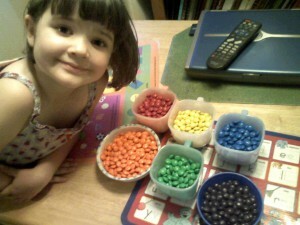 Diva Foodies: Anything else Kid Chef Janey or Mom Jennifer that you want to add? Kid Chef Janey: My favorite seasoning is the spice blend Spike. And salad dressing should always have balsamic vinegar.